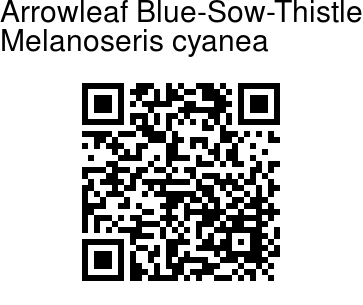 Arrowleaf Blue-Sow-Thistle is a tall perennial herb up to 2 m tall, almost hairless below, glandular velvety above especially in the inflorescence. Leaves are up to 30 cm long, stalk somewhat winged, blade pinnately cut with large terminal lobe, upper progressively smaller. 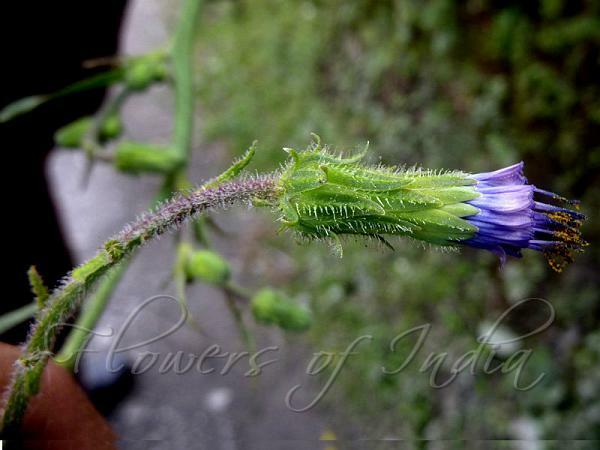 Flower-heads are bluish-purple, 1.8-2.2 cm long, in panicles, on nodding stalks. Outer involucre bracts are about half as long as inner ones, bristly hairy. Florets are 10-30. Achenes are elliptic or obovate, 6 mm long (including beak), with beak white as long as dark brown body; pappus 5-6 mm long, dirty white. Found flowering: September.